Birdie is a local Wyomingite. She received her physical therapy degree from the University of New Mexico. She has been working with patients at PBJC since 1992. 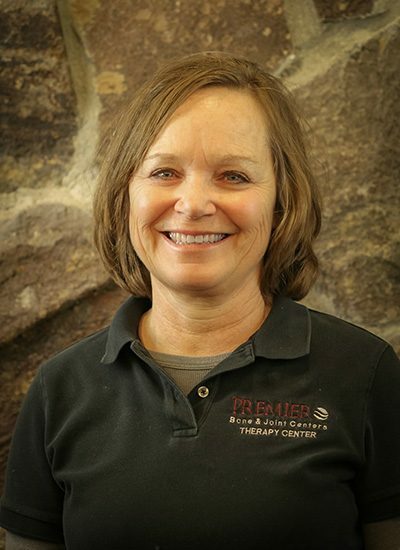 Birdie brings compassion and creativity to her patients as a primarily orthopedic therapist with an emphasis on returning to an active, pain-free lifestyle. Long history in treating patients with hand disorders and fabricating custom upper extremity orthoses. In her free time, Birdie loves cycling, skiing, and hiking.